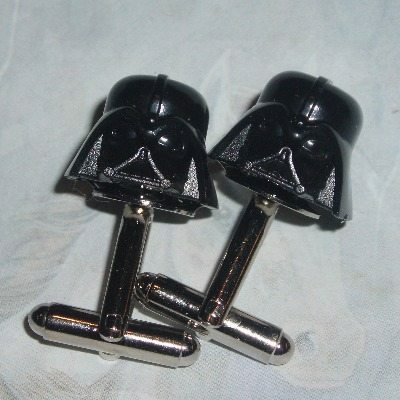 Very Rare and hard to find black Star Wars Black Darth Vader Helmets on sturdy silver plated cufflinks bases. Very fashionable, trendy and fun to wear. Retro Handmade £18. A must have for any Star Wars fan.